You are brought to your senses by earthy-floral incense smoke and tinkling musical chimes – your eyes fairy-flit from orange-soda crystals to sparkling unicorns, from shimmering angels to ancient tarot symbols. In Gypsy Chicks – set dreamily among the historic brick buildings of downtown Stony Plain – you are welcome to set your senses free. The atmosphere is gentle, relaxing, uplifting and light – probably why they’re busy over lunch, when “people come in here for a couple minutes of ‘Ahh’” says co-owner Jenelle, with a smile. Visiting the shop is a tiny holiday from the regular old humdrum – a carpet ride to distant Bali where gifted fingers weave raw silk into vibrant scarves, to miniature gardens where glittering pixies dwell, to an ethereal realm of intuition, spirit guides and poetic energy. 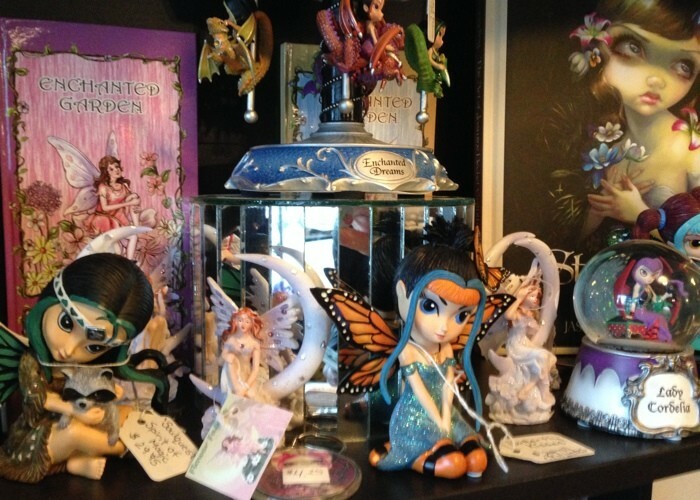 This shop is full of magic, mystery and hope – where better to restore your spirit than here? 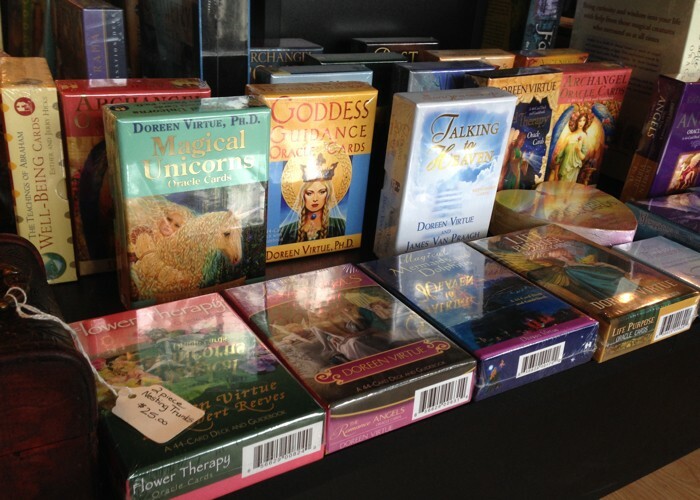 Tarot, oracle and angel cards are some of the shop’s most popular items. 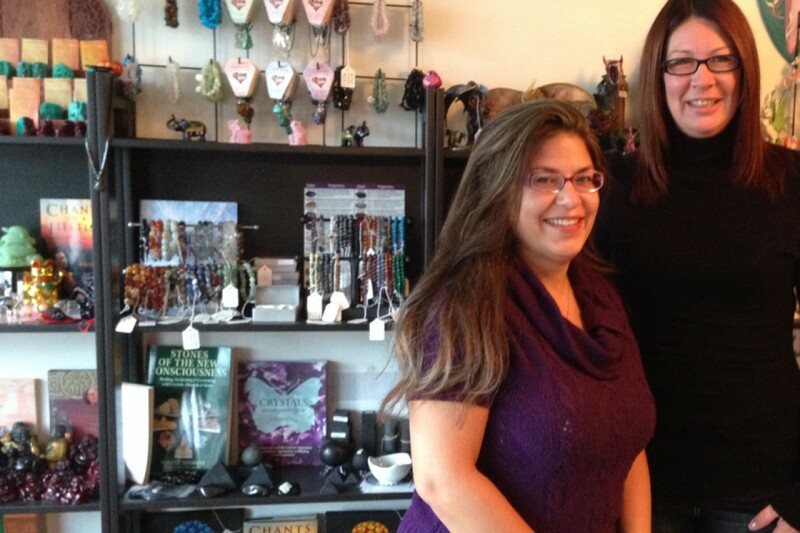 Owners Denise Liviniuk and Jenelle Lakusta opened their metaphysical shop three years ago and have kept growing ever since – just about tripling the amount of products they carry in that time. Both of the women – who have been friends for almost 20 years – have a deep spiritual belief in the shop’s magical goodies. 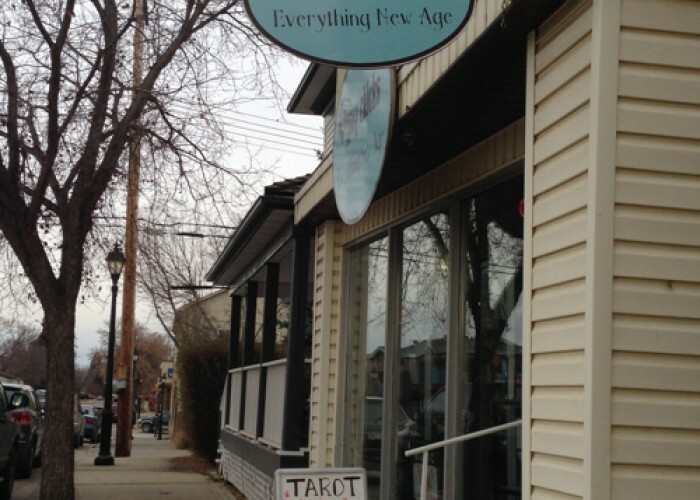 And the astrologers, psychics, numerologists and readers that the shop hosts almost every weekend, provide the same type of service – confirmation of your own deep inklings and a little gentle guidance to follow the voice of your heart. Maybe you have a little girl in your life whose heart believes in fairies – and maybe yours does too. As you wander the small store, crystals in every hue will call to you – contemplative honey calcite, mind-clearing white-as-snow selenite and love-boosting rose quartz. Jenelle talks you through how to use the crystals to work with your chakras, for meditation or simply to carry around in your pocket – before heading off to help a grandpa choose a hand-made hemp dream-catcher for his 16-year-old granddaughter. You drift from pinging chimes to a centre-spread of oracle, angel and tarot cards, from locally-made sacred stone jewellery to adorable Goth girl prints by popular Edmonton artist Sandra Macdougall. You float past dragons and unicorns, dowsing pendulums and angel wing boxes. You come to rest at the Dead Sea salts and fragrant essential oils – some of the shop’s most popular products – and you’re here awhile, breathing deeply and riding a dreamy wave of bliss. Gypsy Chicks is nestled on a side street in Stony Plain’s historic downtown.